Garmin has boosted its golf tech line-up with the Approach CT10 shot tracker sensors, which enable golfers to get data about every shot on the course. The Garmin Approach CT10 sensors screw into those handy little pinholes in the top of your golf club grips, and sync to compatible Garmin golf watches. 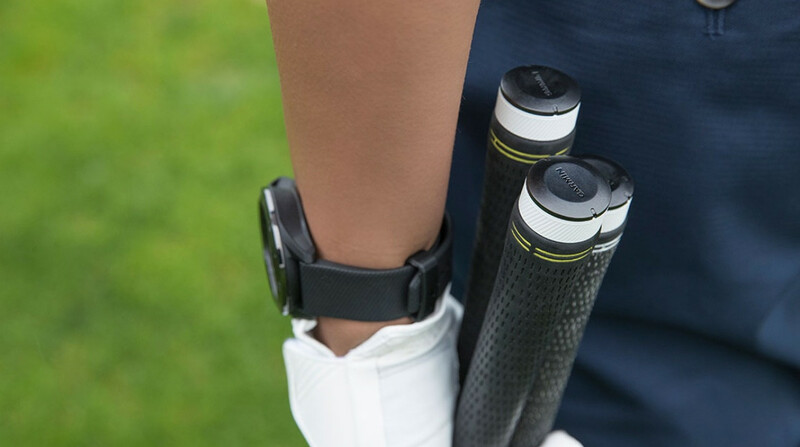 Once they're paired up, your GPS watch will work with the sensors to mark shots for each club in your bag – offering some pretty detailed shot tracking. All this data is hooked up into the free Garmin Golf app, and should reveal some interesting insights into your game. However, unlike rivals, as soon as you pull the club out of your bag, the historical stats for that club will appear on your Garmin golf watch. The first data point of interest is average distance for the clubs in your bag, which is probably the key piece of information you can take away. See, golfers are liars – we lie to ourselves that we can hit a distance, when perhaps it only happens 1 in 10 times. Working from proper averages will help you interpret the distances on your golf watch into better club choices. The Garmin Golf app will also offer baseline averages, to see if you’re underperforming in specific areas of your game, offer insights into shots gained, and you can compare data to your buddies, as well. The CT10 sensors are available in two different packs, one with just three sensors and one for every club – so you can choose how much data you want to access. Arguably, you could probably get away with common irons, but how you use it is up to you. What’s more, if your Garmin watch supports Autoshot (Approach X40,Approach S20 and Approach S60), this will help fill in the gaps. It’s not the first foray into auto-shot detection. This system is very similar to Arccos 360, which is a good shot tracking system, although means using another golf app on the course. It also requires plenty of fine-tuning to make sure shots aren’t missed and scores are accurate – there’s plenty of room for Garmin to improve on that system here. TomTom also tried a similar set-up by tracking shots from the TomTom Golfer 2, but this suffered from false positives, and was down-right annoying at times. The Garmin Approach CT10 are out now – and the full set retails for a fairly hefty $299.99 and the starter pack $79.99. We’ll be getting to grips with the CT10 sensors as soon as we can – so stay tuned for a proper verdict.